I’ve been keeping a little secret from my husband: he’s not the most important man in my life. The most important man in my life likes things fast, is good with his hands and is a man of few words. His name is Jeremy Tinline, and he is the head mechanic and owner of Vic’s Auto in Kingston. When it comes to your mechanic, you want someone you can rely on, who will see you at a moment’s notice, who will take care of your every need and make you feel safe. Jeremy and his team at Vic’s Auto do just that. Whenever I’ve had an issue with my car, they take me right away, often will give me a loaner for the day, and always make sure I’m back on the road in no time. 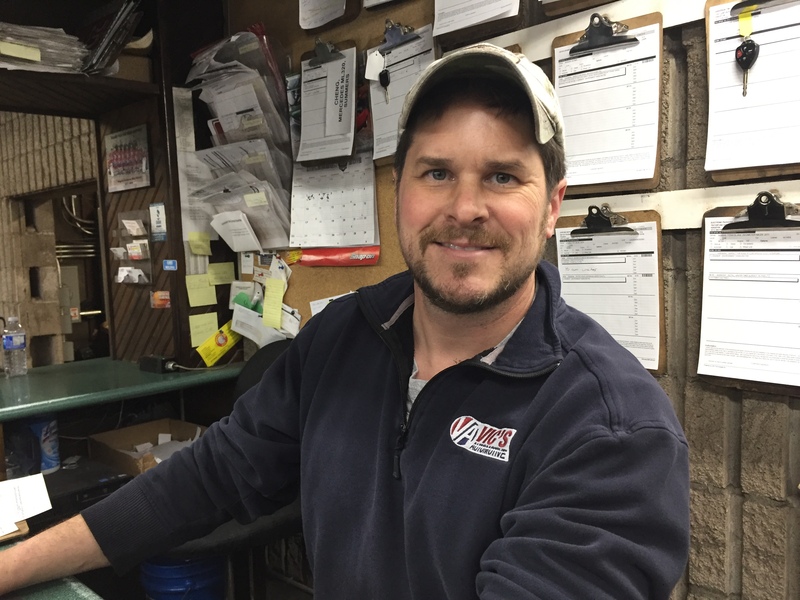 As a small business owner, Jeremy is usually in the shop early in the morning, and can still be there working after 5 when I come in to pick up my car at the end of the day. He is a man of few words, but of much action and integrity. The day I asked Jeremy if I could take this picture of the two of us, he first looked surprised, then grinned, checked his hair, and posed for several selfies. I got the impression people don’t thank him enough for doing the great job he does every day. This week’s #HappyAct in honour of Valentine’s Day, is to show your mechanic or a person in your life who helps keep you safe or lightens your load some love. 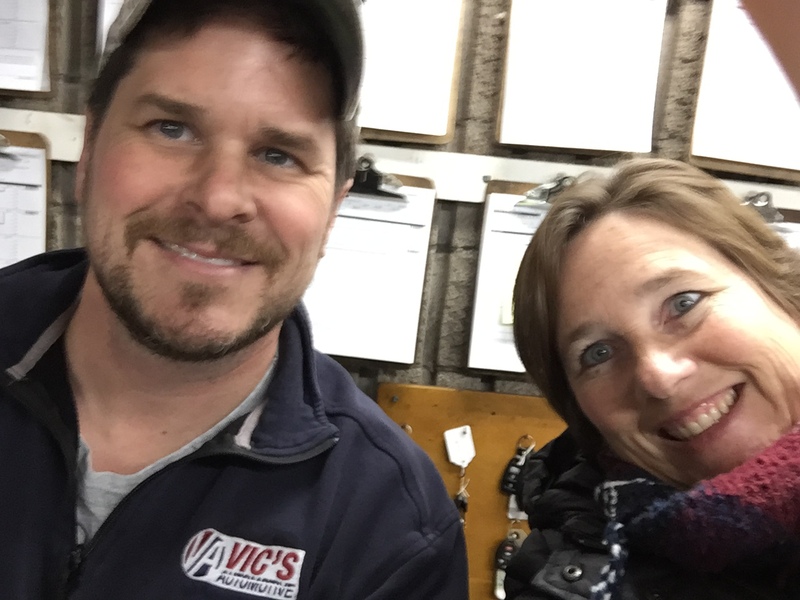 Don’t miss next week’s blog post for Vaentine’s Day: Ten lessons on love and relationships from The Batchelor.